WASHINGTON (AP) — Weeks after a veterans’ health initiative received $2.1 billion in emergency funding, the Trump administration says the private-sector Veterans Choice health care program may need additional money as early as December to avoid a disruption of care for hundreds of thousands of veterans. The Department of Veterans Affairs said in a statement Tuesday that it hoped to move quickly on a proposed long-term legislative fix that would give veterans even wider access to private doctors. The proposal, under review by the White House Office of Management and Budget, would seek money to keep Choice running for much of next year as VA implements wider changes. On Capitol Hill, the House Veterans Affairs Committee was already anticipating that the emergency funding approved in August may not last the full six months, according to spokespeople for both Republican and Democratic members on the panel. They cited the VA’s past problems in estimating Choice program cost. That committee and the Senate Veterans Affairs Committee said they were closely monitoring the situation. Garry Augustine, executive director of Disabled American Veterans’ Washington headquarters, said recent discussions with VA also gave him little confidence. 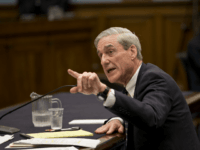 In its statement to The Associated Press, VA said it could not say for certain when Choice funds would be depleted, but acknowledged that it could be as early as December or as late as March. Earlier this year, the VA began limiting referrals to outside doctors as money began to run low and veterans reported delays in care. The VA proposal for a long-term fix is expected to be released in the coming weeks. 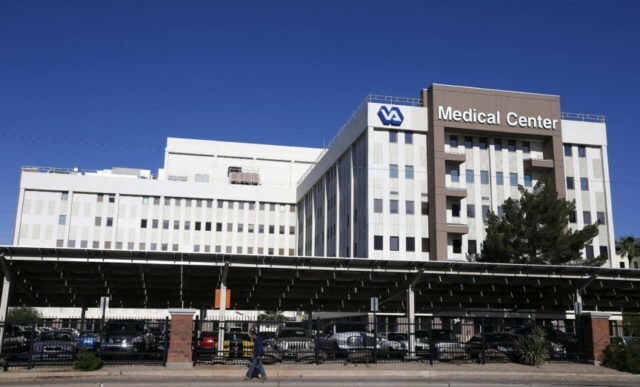 The latest funding woes come amid political disagreement over the future direction of VA and its troubled Choice program, which was passed by Congress in 2014 in response to a wait-time scandal at the Phoenix VA medical center that spread nationwide. Some veterans died while waiting months for appointments as VA employees manipulated records to hide delays. The controversy spurred Congress to establish Choice as a pilot program designed to relieve pressure at VA hospitals. Choice currently allows veterans to receive outside care if they must wait 30 days or more for an appointment or drive more than 40 miles to a VA facility. But the program has encountered long delays of its own. In a sign of a political divide, the left-leaning VoteVets ran a $400,000 ad campaign earlier this month in 13 states that warned viewers, “Don’t let Trump privatize my VA.” The American Federation of Government Employees has been staging rallies to bring attention to VA job vacancies left unfilled. The VA said it remains committed to filling agency positions even as it finalizes plans to revamp Choice. VA said it had about 34,000 vacancies, which officials attributed in part to a shortage of health professionals. Legislative proposals to fix VA have run the gamut, including one backed by the conservative Concerned Veterans for America that would give veterans almost complete freedom to see an outside doctor. Another plan could create a presidential commission to review closing some VA medical centers. “Congress can either double-down on the failed VA policies of the past or they can go in a different direction and empower veterans with more choice over their health care,” said Dan Caldwell, policy director of Concerned Veterans for America. More than 30 percent of VA appointments are made in the private sector. Carrie Farmer, senior policy researcher for the RAND Corp., said the Choice debate raises broader questions about the role of government-run health care in treating veterans. To many former troops, the VA health system is a “medical home” where patients feel more understood by doctors specially trained to treat battlefield injury, such as post-traumatic stress disorder. Significantly expanding Choice could upend that government role as caretaker, she said. “The big question is ultimately who will be responsible for our veterans’ care?” Farmer said.